Master Sgt. 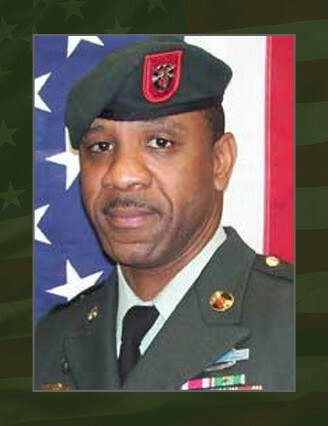 Shawn E. Simmons, 39, died as a result of a non-battle accident on June 28, near Khosrow-E Sofla, in the Arghandab District, Kandahar province, Afghanistan, in support of combat operations while serving with Company A, 1st Battalion, 7th Special Forces Group (Airborne). He deployed in support of Operation Enduring Freedom in May 2008 as a member of the Combined Joint Special Operations Task Force – Afghanistan. This was his second deployment in support of the Global War on Terror and second deployment to Afghanistan. Simmons, a native of Ashland, Mass., volunteered for military service and entered the Army in February 1992 as a power generation equipment repairer. In 1995 he was assigned to the 307 th Forward Maintenance Company at Fort Bragg, N.C. In May 1997 he began the Special Forces Qualification Course and he earned the coveted “Green Beret” in 1999 and was assigned to 1 st Bn., 7th SFG(A) at Fort Bragg, N.C., as a Special Forces Operational DetachmentAlpha engineer sergeant. He left 7 th SFG(A) in 2005 to become an instructor at the John F. Kennedy Special Warfare Center and School. He returned to 1 st Bn., 7 th SFG(A) in Dec. 2007. Simmons’ military education includes; the Advanced Noncommissioned Officer Course, Basic Noncommissioned Officer Course, Military Freefall Jumpmaster Course, Ranger Course, Survival, Evasion, Resistance and Escape Course, Military Freefall Parachutist Course, Basic Airborne Course, Jumpmaster Course, Air Assault Course, Warrior Leaders Course, Basic Instructor Training Course and Special Forces Qualification Course. His awards and decorations include the Bronze Star Medal, Meritorious Service Medal (second award), two Army Commendation Medals, Joint Service Achievement Medal, three Army Achievement Medals, five Army Good Conduct Medals, National Defense Service Medal, Global War on Terrorism Expeditionary Medal, Global War on Terrorism Service Medal, Noncommissioned Officer Professional Development Ribbon, Army Service Ribbon, Overseas Service Ribbon, NATO Medial, Combat Infantryman Badge, Military Freefall Parachutist BadgeJumpmaster, Military Freefall Parachutist Badge, Master Parachutist Badge, Ranger Tab, and the Special Forces Tab. Simmons is survived by his wife, Tricia, daughter, Erin and son, Justin, of Hope Mills, N.C.; and mother Alberta Simmons, of Tallahassee, Fla.